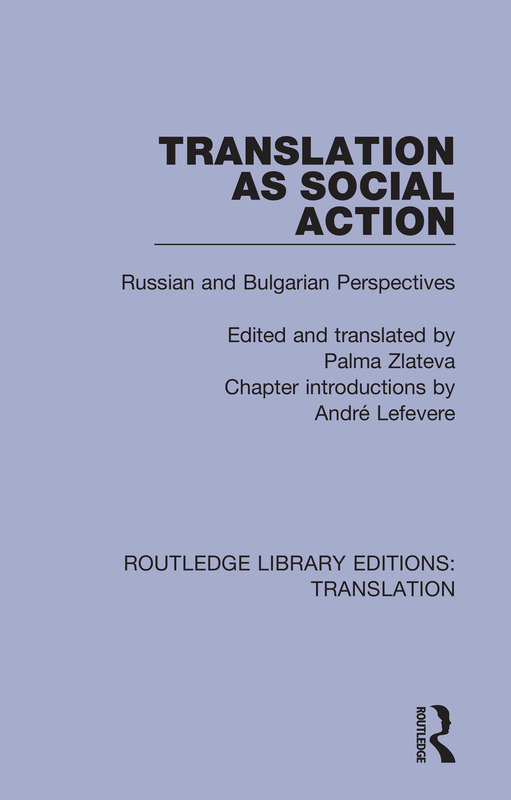 Originally published in 1993, Translation as Social Action is a varied collection of essays, which addresses translation as social action as its central theme, the book proposes a model of the translator as an agent in his or her own right. Translation is seen not just as a transfer of meanings from one language to another, but rather as an arena in which different cultures meet in the person of the translator. This perspective provides a complete contrast to Western translation studies, concerned with whether or not translation is really possible. Together the essays reveal a distinct tradition grappling with the most important topics in translation studies in ways that are different and challenging. The collection is essential reading for translation studies, as well as providing an interesting perspective on comparative literature and Eastern European studies.